A new report launched at Davos by legal cannabis expert, Prohibition Partners, maintains that steeply rising patient numbers and legislative progress have created a "transformative" backdrop for medicinal cannabis use in Europe. 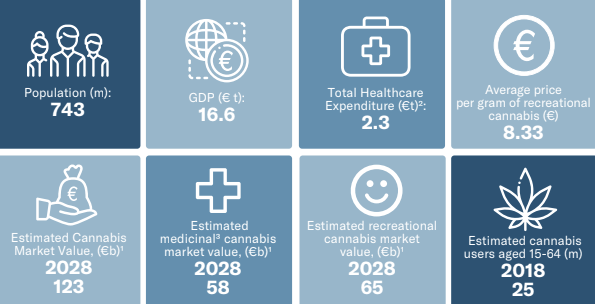 The European Cannabis Report 4th Edition reveals that the region is poised for record-smashing growth over the coming years. According to its findings, Europe’s cannabis market is estimated to be worth up to €123 billion by 2028. Of that total market, the market for medicinal marijuana specifically could reach €58 billion during that time. The report also identifies sweeping legislative change and increasing awareness of the potential health benefits elicited by cannabis-related products as key growth drivers. Throughout 2018, a crop of European countries introduced, reviewed or announced future legislation to advance the legal weed movement, and there are now 14 European countries where prescription pot is legal. 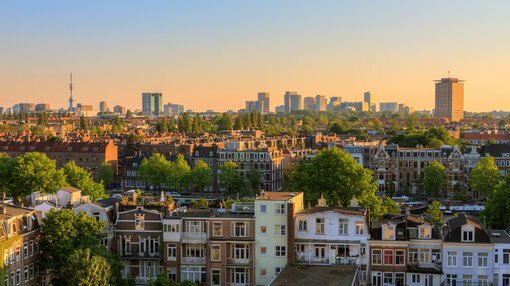 The UK, Portugal and Malta have legalised medical cannabis products, and the Netherlands, Denmark and Germany have either issued cultivation licences or plan to introduce a tender for global cannabis producers. Even conservative governments in France and Ireland have proposed new cannabis bills or committees to review the legal status of medical marijuana. The versatility of the plant could also have significant implications across multiple sectors, including textiles, beauty and wellbeing, leisure, manufacturing, and food and beverage. The report forecasts patient numbers will grow from 130,000 in the region’s three largest markets — Italy, the Netherlands and Germany — to 225,000 in 2019. The lion’s share of growth will come from the German and Italian markets. The German market is currently worth an estimated €133 million and is set to be worth more than €1 billion by 2020. Germany legalised medicinal cannabis in 2017. One of the most progressive bills, the list of eligible conditions is quite broad, and this led to an immediate jump in the number of registered patients from 1,000 to over 40,000. Germany is also the first country in the world to cover the cost of medical cannabis (for any therapeutic application approved by a physician) through its national health insurance system. Murphy also believes that political event-driven change can act as a catalyst for further growth. While the report maintains that patient demand is high, it notes that access is still restricted in many countries. Murphy says: “While medicinal cannabis has been legal in several European countries for a number of years, the report shows very few countries have the infrastructure or proper legislation in place to supply patients. Except for the Netherlands and Israel, they rely on cannabis imports to deal with patient demand.